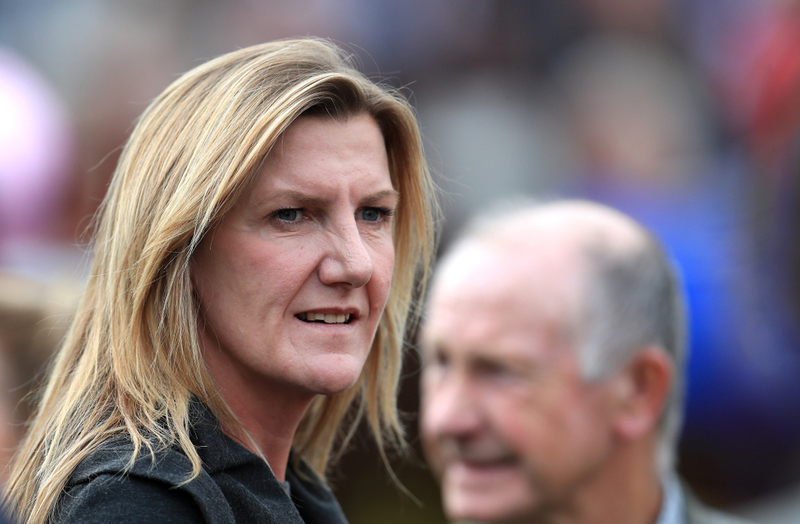 Last week female trainer Rebecca Bastiman suffered a horrible fall on the gallops at her stables that could have turned out to be career ending and even life threatening but is now recovering after undergoing emergency surgery. Bastiman was riding out last Wednesday on board her horse Hayadh when the unfortunate incident occurred. Her father reported this week that she owed her life to her mobile phone which survived the impact of the fall. (Credit Racing Post) Her father Robin Bastiman said: "The main thing is Rebecca's fine. "Nobody really saw what happened, I wasn't there so didn't see it, but we think Hayadh stumbled and fell. He must have rolled on top of her and luckily she had her mobile phone. "The horse must have trodden on it as it was bent up like a banana and the screen was shattered, but it still worked and the hospital staff said if it hadn't have been working she would probably have been dead. "She had to have emergency surgery as she had internal bleeding." He added: "She broke her arm and hand, dislocated her shoulder, has two cracked ribs and a hairline fracture to her pelvis. "But she's tough as old boots and is back at home and fine. It could have been a lot worse and her mobile phone saved her." The horse Hayadh was none the worse after the incident and went on to run at Musselburgh on Tuesday and finished a nice third for the yard. The female trainers father was involved in a serious incident earlier on in the season when he administered a race-day injection to one of his horses that contained the illegal substance cobalt. Robin Bastiman held the license for the family's Yorkshire stable back in August when it occurred but has since been given a three year ban from the sport by the BHA disciplinary panel. The former handler who is best known for training Borderlescott who went on to win the Nunthorpe at York racecourse, has tried to get the terms of his ban changed so he can actively go to racecourses to be a spectator but this was denied. He said: "It's my life, I've been in racing for 50 years and miss my friends. "I asked the BHA to reconsider, they spoke to the disciplinary committee and they've said the three years is right. "I feel I've been made a fall-guy here and don't believe I've been treated fairly."